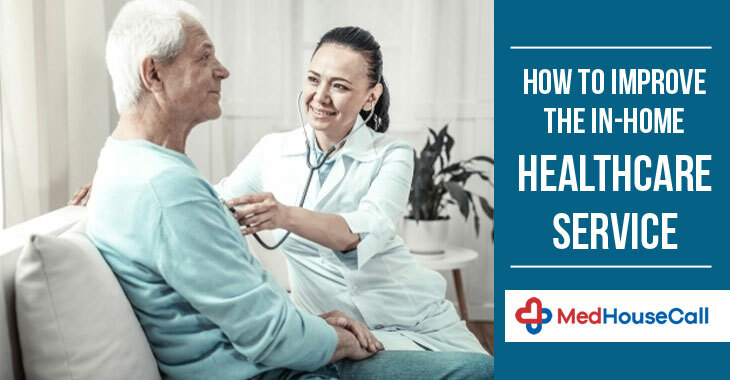 In-home healthcare service offers hope to people who are suffering from immobility issues and it is considered to be a good choice for kids and professionals. Everyone is looking for a convenient option, especially for the health sector. Wasting time in a long queue before a doctor’s office is not a good option in today’s fast world. This is why home visit physicians are needed to meet the demand. MedHouseCall is the name that is working actively to bring the medical assistance to your home. We are presently operating in Ontario, Canada and soon will extend our services to other regions. Even though we moved to the sector that has a great demand, the field needs more and more people who are professional and certified to offer in-home healthcare facilities. We conduct thorough research in the field and tried to bring out the underlying cause of unwillingness of people for joining the sector. We found out that the knowledge barrier is the main thing that stops the growth of the in-home healthcare service. Professionals are not aware of the process because they accustomed to the traditional health-check up options. We can run a campaign and welcome professionals to educate them about the benefits and how they can serve people in need. When we are talking about the quality healthcare service at home, our major attention remains on the nursing assistance. They can surely improve the facility if they will join the industry. But, due to the doubt over the payment process, they show less interest in this sector. If we want a better tomorrow, we must create an effective environment where every entity gets benefitted. We need to make a proper payment process and need to ensure their future also with interesting schemes. Education is another important thing that will enrich the in-home healthcare service in the future. We must start with the education level and make students aware of how they can improve healthcare industry. Through training programs and certified courses, students can make themselves eligible for carrying out healthcare needs. Doctors and medical practitioners should also find time for treating people at home. Some illnesses need special attention and the best result will be drawn when the checkup is conducted at the comfort of a home. MedHouseCall started a journey where the hindrances and stopping are much. But, we get appreciation and support of people and that helps us move faster and encourage others to join our group. Our aim is to create an environment where everyone gets a premium healthcare facility.